When it comes to travel experiences, the majestic Rocky Mountaineer journey is hard to imitate, let alone replicate.  So, when this premier travel company was looking for a partner to help them envision, create, and deploy an industry-leading, digital presence, they chose Appnovation, a company with an impressive track record of Drupal project delivery. 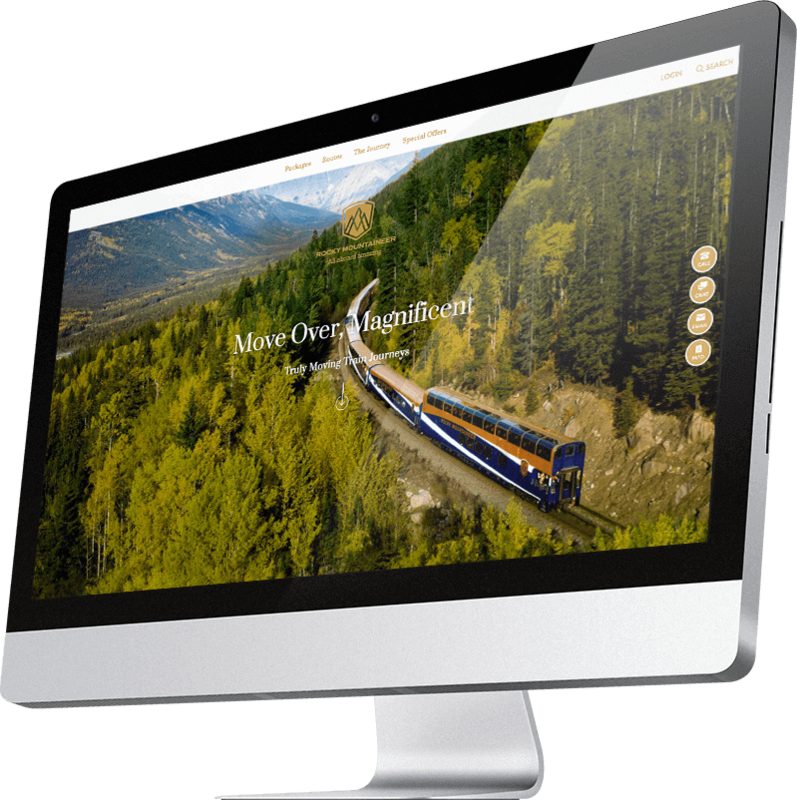 With the combination of a world-class travel experience company, and a global, award winning digital, design and maintenance services firm, the results were always destined to make Rocky Mountaineer as premier an online destination, as the places on their spectacular train journeys. 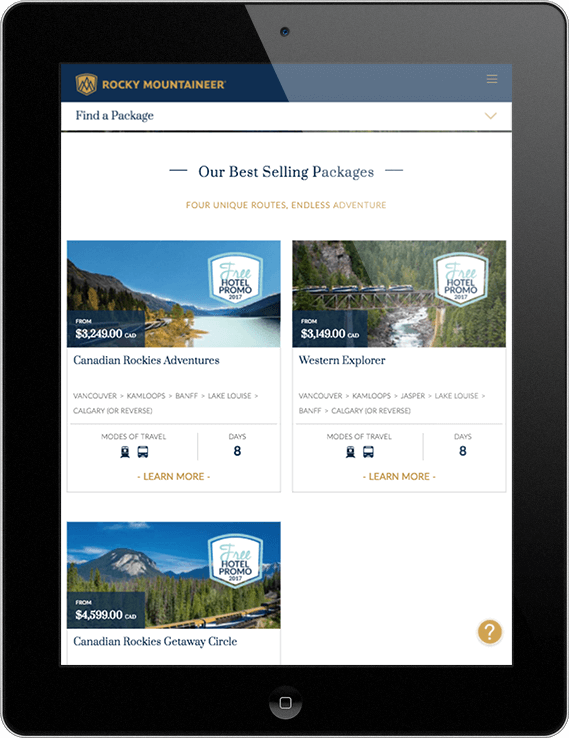 Appnovation set about the challenge...ready and able to keep Rocky Mountaineer’s digital presence on the right track. Easier way to go through the booking process, while showing the value of upgrading, extending your stay, etc.